Jove Francisco to join the local CNN station? First on MNP: After stints at ABS-CBN News Channel and TV5, Jove Francisco might be heading to CNN Philippines, we have learned. Sources tell Media Newser Philippines that the seasoned journalist has been in talks with the local CNN station to become its newest on-air talent. If everything becomes official, Francisco won't be the first TV5er to join the network. Newly installed Newsroom anchor Cherie Mercado and the late Amelyn Veloso were originally from the Kapatid Network. 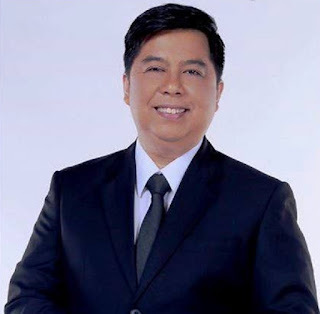 Best known as anchor of TV5 newscasts such as Aksyon Tonite, TEN: The Evening News, Aksyon JournalisMo, Pilipinas News, and Balitang 60, Francisco was among the network's most prominent political correspondents. From October of 2015 to December of 2016, he served as the executive producer of ANC's The World Tonight, where he worked alongside his mentor, veteran journalist Tina Monzon-Palma. We'll follow this story and will bring you more updates once we get additional information. In the meantime, let us know what you think by posting your comments below or on our Facebook page. You can also tweet us @medianewserphil.